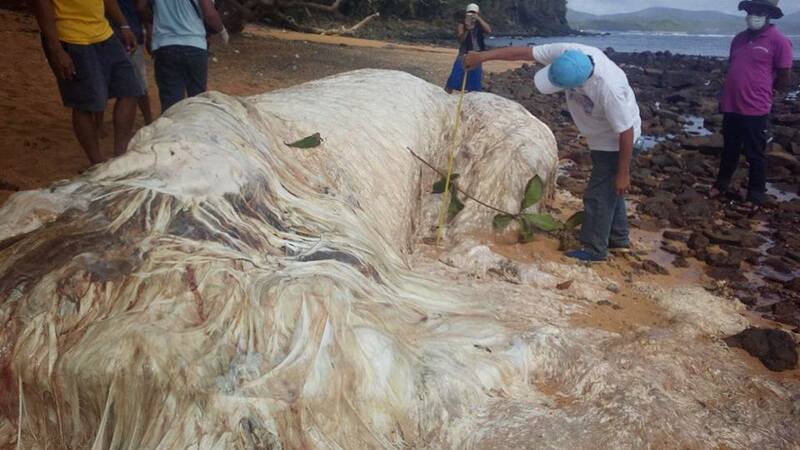 A sea creature's carcass washed ashore at Barangay Poblacion in Cagdianao, Dinagat Islands on Wednesday, February 22. According to Cagdianao's Municipal Information Office (MIO), the carcass has been confirmed by the local staff of the Bureau of Fisheries and Aquatic Resources (BFAR) to be of a whale. A specimen sample has been brought to the BFAR office in Manila to determine the specie of the said whale. The whale carcass was 6.3 meters long and 2 meters wide from its dorsal to pectoral fins, MIO reported. MIO added that the local government unit will be preserving the bones of the whale as memento of the rare event.